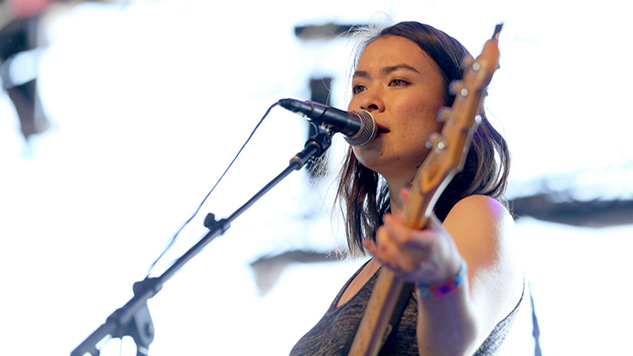 Mitski has unveiled a new line of limited-edition merchandise in support of her critically acclaimed new album Be The Cowboy. Alongside the classic offerings of LPs and T-shirts is a host of more unconventional fare, including a ramen spoon labelled “Feed the Cowboy,” a combination lock labelled “Free the Cowboy” and a pillowcase labelled “Dream the Cowboy,” making possible fans’ desire to be immersed in Mitski’s romantic Americana dream, even when they’re asleep. You can find all this and more on Mitski’s merch page here, stream her new record here and listen to her 2015 Daytrotter Session below.